Aftenposten is one of the major newspapers in Norway. 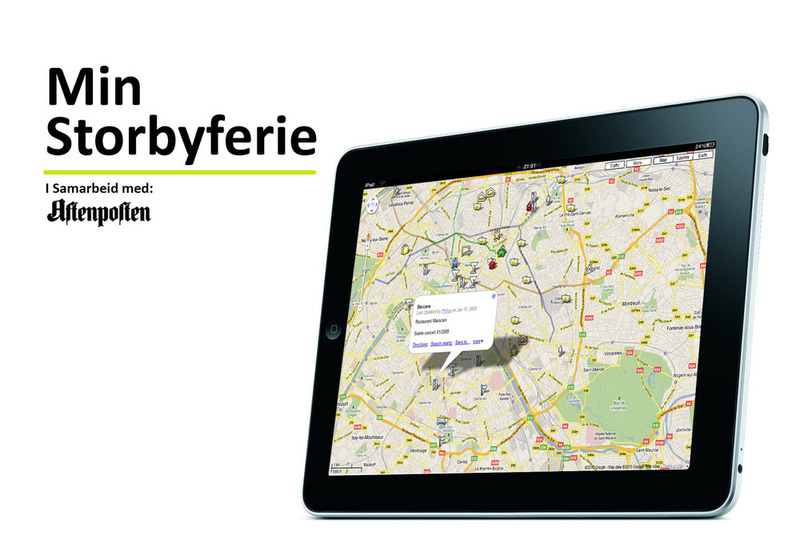 Our task was to examine one segment of the Aftenposten website and envision it as an app for the iPad. We choose the travel section because we saw a lot of potential in the content but the way it was presented was in need of a change. We wanted to promote more sharing of content and also let the user be able to easily bring the information with them on their travels. The app became split into two parts. The first part is browsing and inspiration where the user can save information and articles. 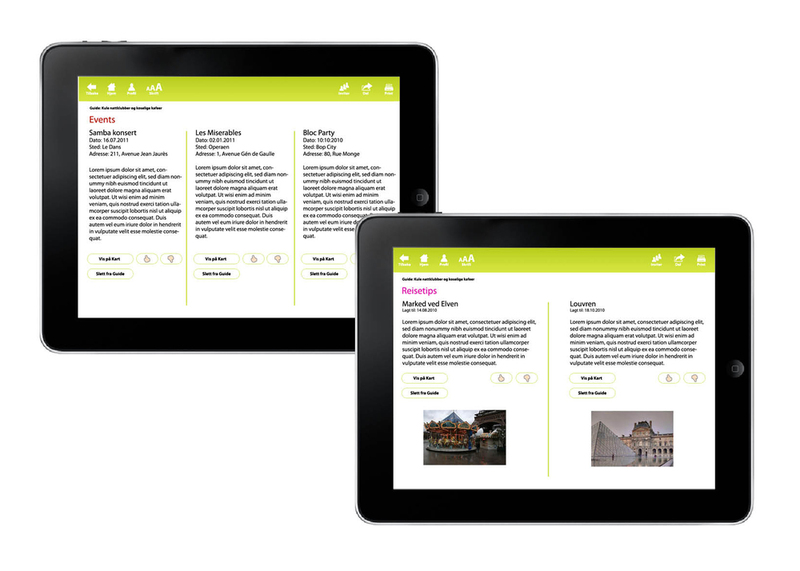 The second part works as a personal travel guide that lets the users themselves compile guide books. These guide books can then be shared either to friends or made available for the entire community. Users are also given the option to rate each others travel guides. Evidencing of the app. Coding done by Stian Kilaas.